Kodner, established in 1906 is a fifth generation auction gallery located in Dania Beach, Florida. Starting in Chicago the business moved to south Florida in the 1970s. At our current city block-long location since 1974, the gallery is a well-known fixture in Dania Beach. Conveniently located 5 minutes south of the Fort Lauderdale-Hollywood International Airport on US-1 (Federal Hwy), Kodner Galleries is within easy access from I-95 and Florida's Turnpike between Miami and Palm Beach and serves the Miami-Dade, Broward and Palm Beach tri-county area and beyond. Kodner is the leading south Florida auction gallery with over 100 years of experience buying, selling, appraising and consigning for sale quality art, bronze and marble sculpture, gold, silver, estate jewelry, porcelains, antiques, furniture, rugs, and more. We are a customer oriented full service gallery serving private individuals, estates, attorneys, trust departments, banks, insurance companies, families of seniors, dealers and interior designers. Russ Kodner, President of Kodner Galleries, Inc. is a certified gemologist and a member of the Gemological Institute of America (G.I.A.). Russ will professionally appraise your fine estate jewelry and provide expert advice as to current value. Our appraisal staff will evaluate a single item or entire estate and will professionally handle every aspect to accommodate your individual requirements. 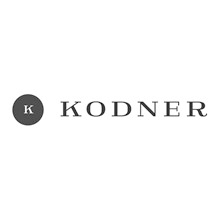 Kodner conducts approximately 20 general auction sales per year of fine art, paintings, sculpture, antiques, Chinese porcelains and jades, fine and estate jewelry, silver, furniture, rugs and more. We also feature two to three specialty jewelry and gift auctions in February prior the Valentine’s Day and a mid-December Holiday sale. Our yearly auction schedule is posted at our home page. The catalog for each is posted approximately two weeks prior to the auction date. To receive email notices of up-coming auctions please sign up to the Kodner mailing list (email mailing list form). As a consignor, buyer or seller you can be assured you have wisely placed your trust in Kodner. For more information please inquire to info@kodner.com, by phoning the gallery at 954-925-2550 or dropping by our Dania Beach gallery M-F 9-5.